Singer Gina updated on social media after a year of silence. On September 14th, Gina uploaded a photo on her Instagram and wrote: “#birthdayblessings ❤ I feel so #blessed and #thankful … you guys helped me smile again. #friends #family#GNIS #missyou #loveyou #thankyou#seeyousoon“. In the photo, she is looking at the camera with a big smile, holding a bouquet of flowers in her hands. 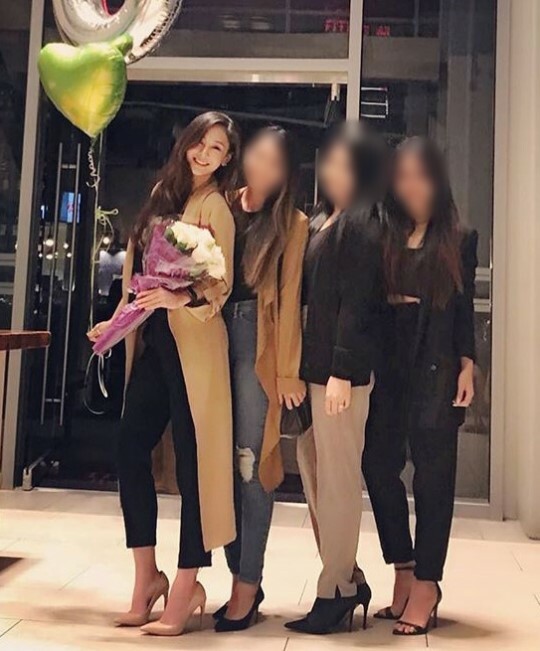 She seems to have celebrated her birthday with her friends. It has been a year since she updated on her life in September last year. At that time, she wrote: “Thank you so much to everyone who has stood by me til this day. Thank you for having faith in me.. believing in me.. not giving up on me.. even through all the obstacles, heartaches and endless rumors”. In 2016, Gina was found guilty of overseas prostitution, and has been reportedly staying in the United States since.